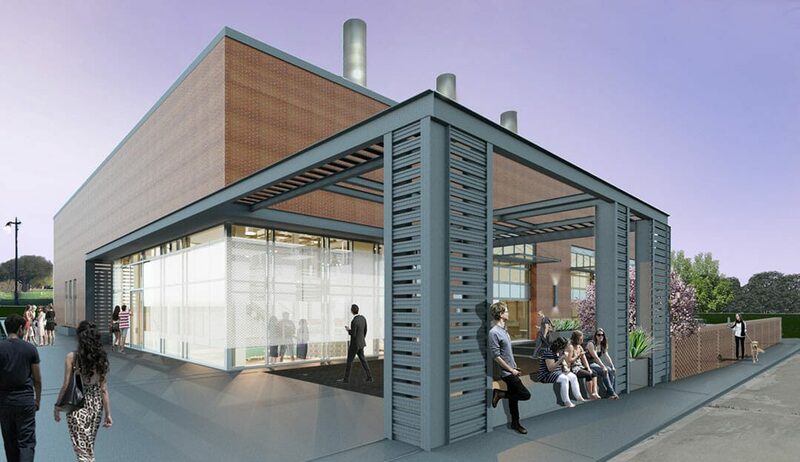 Downtown Church is finding an unlikely home in the existing Central Energy Facility on the Bull Street Campus. The mechanical building that once served the entire campus has been transformed to include a large open worship space, staff offices, classrooms, meetings rooms, and a full catering kitchen. 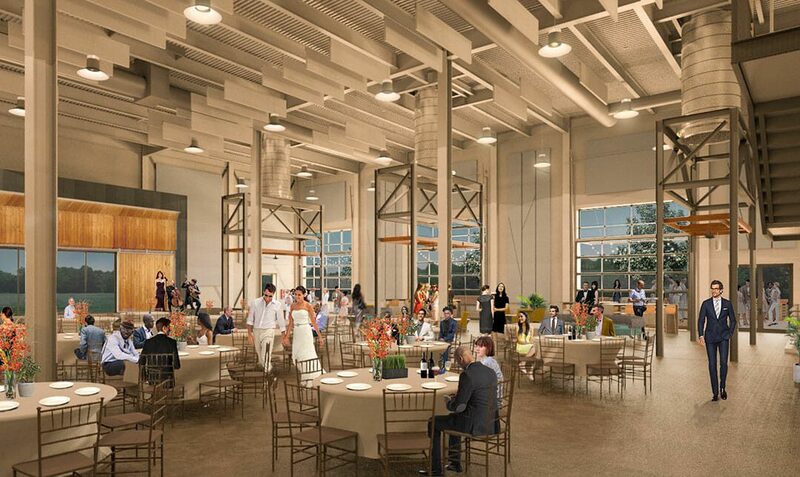 The building maintains the “unfinished” industrial feel, while also doubling as a rental venue. 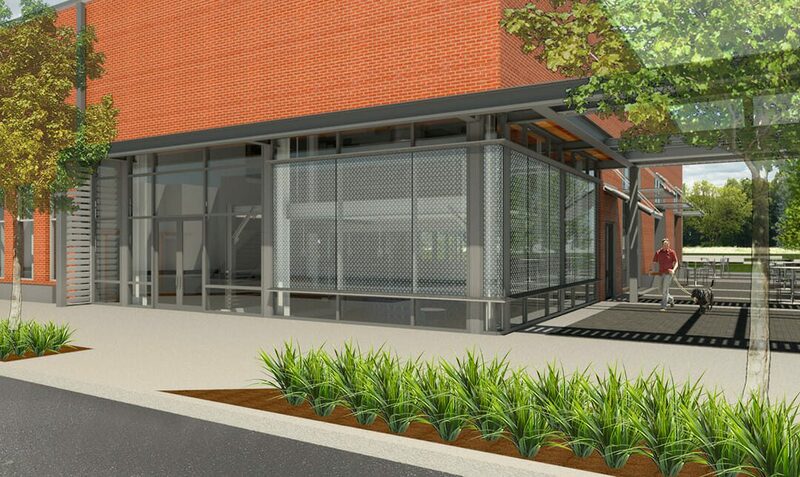 Three large overhead doors extend the usable area into a large courtyard, including pavers, steel planters and a low lattice brick enclosure outlining the location of the demolished exterior mechanical yard. The site is further utilized by providing an indoor/outdoor stage looking over a large lawn giving the building additional flexibility. The industrial brick box was flooded with daylight by the introduction of the large glass overhead doors in the existing louver openings and a glass corner entrance. The three existing mechanical stacks and their structures remain as a hint of what was, and a defining characteristic of the new Downtown Church, Central Energy Facility.